After a long break it is high time to get back and catch up on my Blog adventure. There is lot of work to do, meaning lot of done projects to be shown to you, my dearest readers. 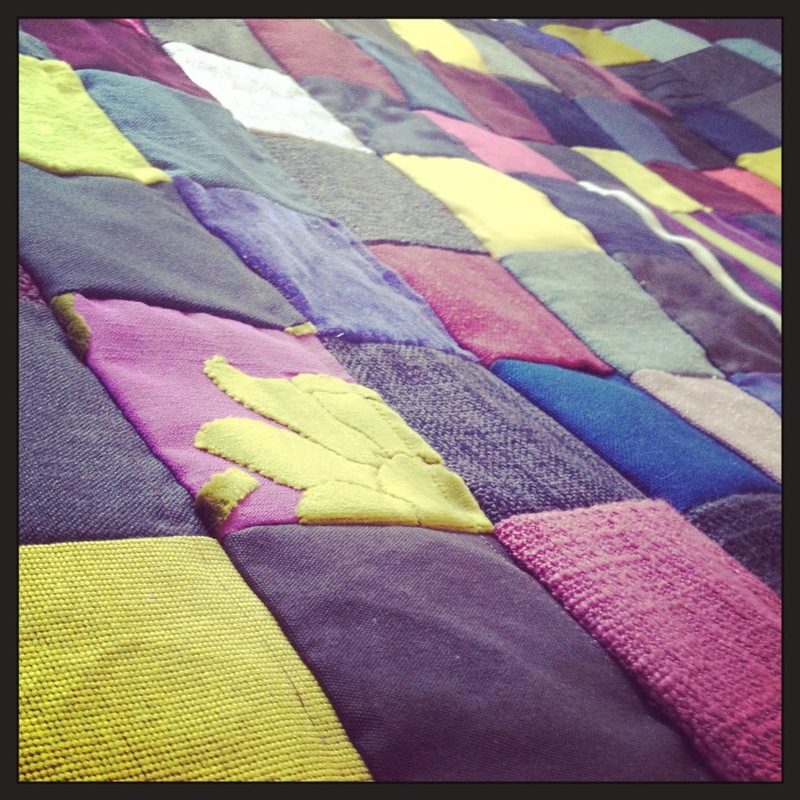 Well, my patchwork masterpieces are one of a kind, as I have never learned any technique of how to do patchwork throws. Once I have received a pretty huge bag of textile snippets from my older sister, most of them made in Italy or Spain. The snippets were all different, of different substance, as they were just a collection of furnitures fabric samplers. Here you may see how it looked like when I got it first time. And because every fabric was different, and I didn't look at the substance but only for the colour (this is all me ;-) it occured so difficult to be sewn straight. 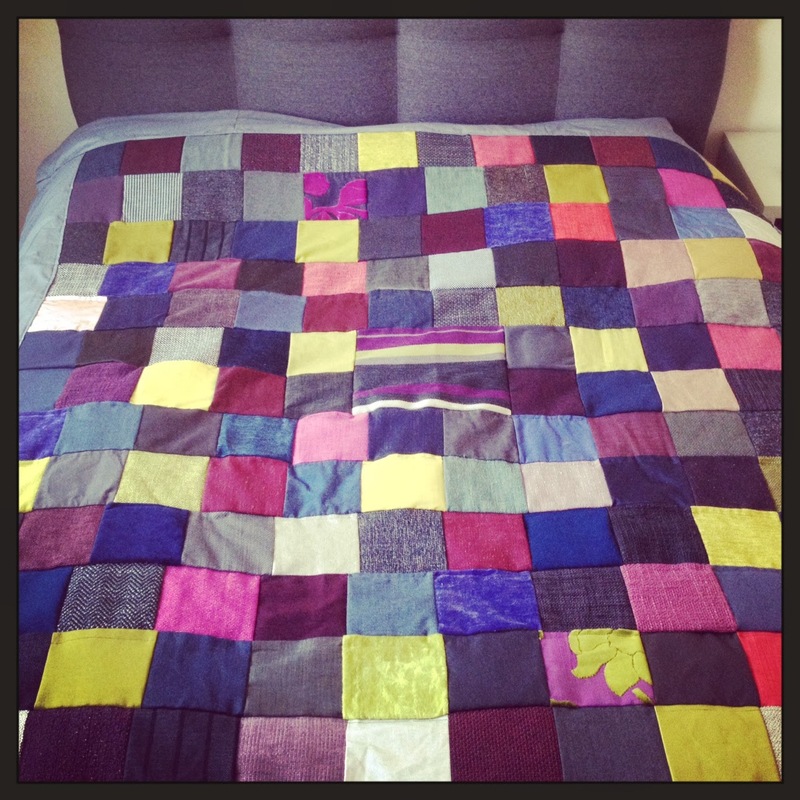 As you can see, the pillow cases seen on the photo below are the only patchwork sewn quite straight. The rest of it doesn't look so good anymore. But are still soooo pretty to me. The first three bed throws are already gifted, however you may see them below in a phase of preparations. Can you imagine the final effect! It was so gorgeous! This weekend I went to Ania and Michał, the same guys I made the wedding cake (here) for. I noticed they are still using my bed throw, so looks like they like it, isn't it? Please, have a look how it went out. What do you think? Would you show it to your friends? Please, do so! 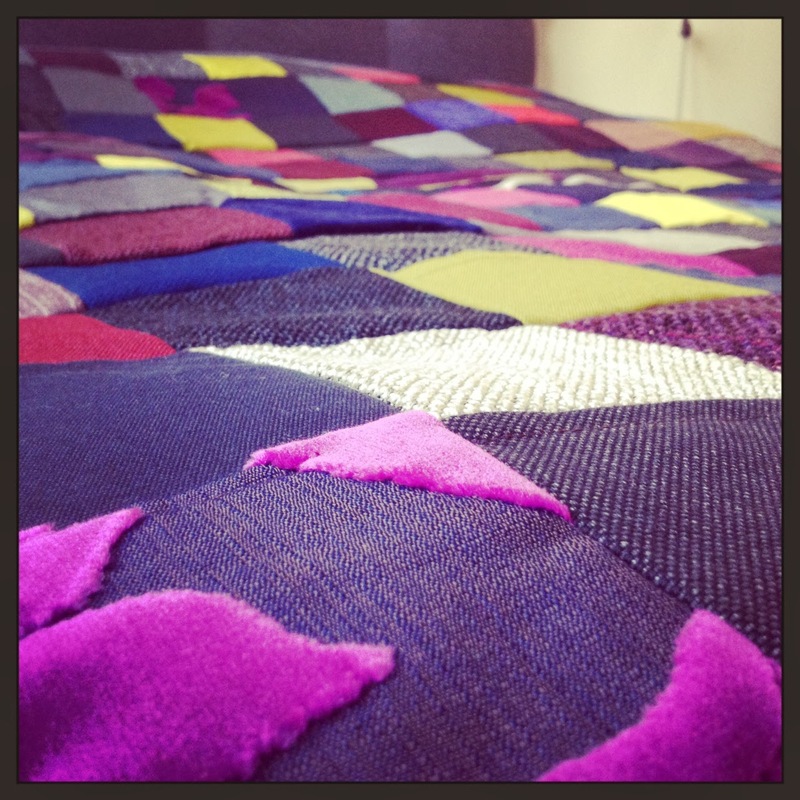 And here is the bed throw I made for our bed at home. The bed has this headboard made with a dark brown fabric. I didn't want the brown colour to dominate in our bedroom, so I decided to make it in a light mixture of colours, with a bit of yellow. I know, not too straight, but anyway very pretty to me.